Every farmer or rancher has had it happen: the tractor they need to feed with every day breaks down, or the baler implodes in the middle of haying with rain predicted for the end of the week. Under the circumstances, the most logical action is to load the piece of equipment up and haul it to a dealership or repair shop to get it fixed. Days can turn into weeks as the workload at the shop is overwhelming, or parts don't come in when they should. Meanwhile, back at the place, feeding isn't getting done or hay is laying in a windrow getting rained on. An alternative to hauling the equipment to town would be to have someone come to the place and fix it, but, who in the world do you call for that? Fortunately for farmers and ranchers in the region, a new business has started that brings the diagnosis and repair to where it's needed. 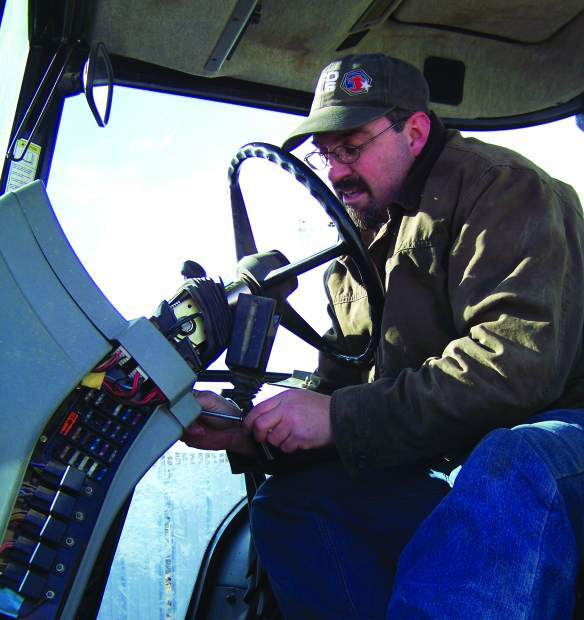 Chad Schaefer of Schaefer's Rollin' Repair, Newell, SD, has a mobile agricultural equipment repair business that serves a wide scope of country ranging from anywhere west river in South Dakota, into southwestern North Dakota, eastern Montana and Wyoming, and northwestern Nebraska. 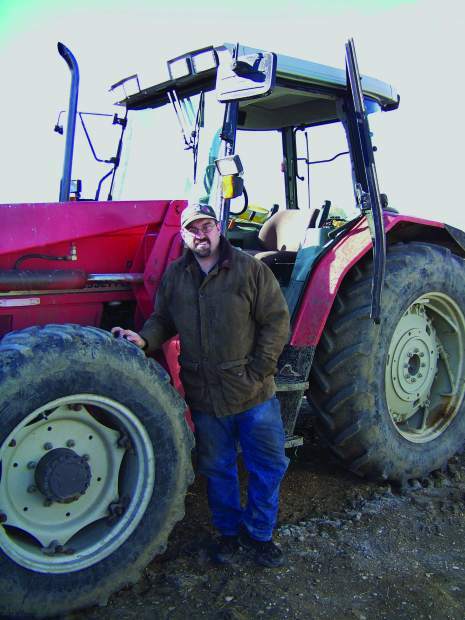 He works on all models of tractors, swathers, skid steers, balers, field implements, and performs air conditioning service and repair. Schaefer is a certified diesel engine specialist and farm implement repair man with a degree from Minnesota West, Canby, MN. After graduation, he worked for 10 years at a dealership in Sturgis, SD, doing mostly service calls, and then he worked three years for an industrial construction company in Rapid City, SD, as a field mechanic. That career all came to a halt on his way home from work one rainy night, July 1, 2010, when an oncoming car hydroplaned and a head on collision happened. "It was raining really hard and visibility was bad," said Schaefer, "There were people pulled over on the shoulder and I was slowed way down because I knew there was always a big pool of water on the bridge ahead." The collision totaled both vehicles, though the other driver wasn't seriously injured. Schaefer was however, and was life-flighted to the hospital in Rapid City, with multiple breaks in both legs, a broken left arm, cuts and abrasions. He remained in the hospital for 28 days, initially. After seven surgeries, he was left with plates and screws in the arm and rods and screws in both lower legs. "I hope I'm done with the surgeries. The worst one was the last one last year because an infection nearly cost me my left leg," said Schaefer, "It still feels like when you hit your shin on a receiver hitch sometimes, and there's constant pain." Chad Schaefer, 35, isn't one to quit though, and with a family to support, he needed to get back to work. His secretary is his wife Tina, and they have an eight year old daughter, Asiah. Determined to get back to work but unable to work the long hours every day of the week like he used to, he decided to do his own business. "I always wanted to do this, and was going to wait until Asiah was out of school, but this put it into motion sooner," said Schaefer. "I have the God-given desire to be a field mechanic. I've always enjoyed working on equipment, starting with working beside my Dad on old tractors and stuff," Schaefer explained, adding, "Some people had me work on their stuff and convinced me that I ought to do it for a business." He continued, "I can set my own hours and I don't have to worry about overdoing it. I can pace myself better this way." Schaefer is well-prepared for any job. His service truck, which is gradually becoming fully equipped, has a welder, generator and air compressor in a 12 foot service box. Eventually, he plans to add a crane device to lift engines out and transport them home to be worked on in his shop there. 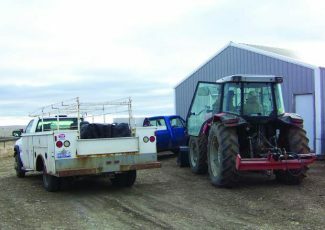 "I want to stay with on-farm and ranch repairs, though, because those tractors and equipment can't be out of commission for long," said Schaefer. Another service that Schaefer offers and encourages patrons to utilize is scheduled maintenance. 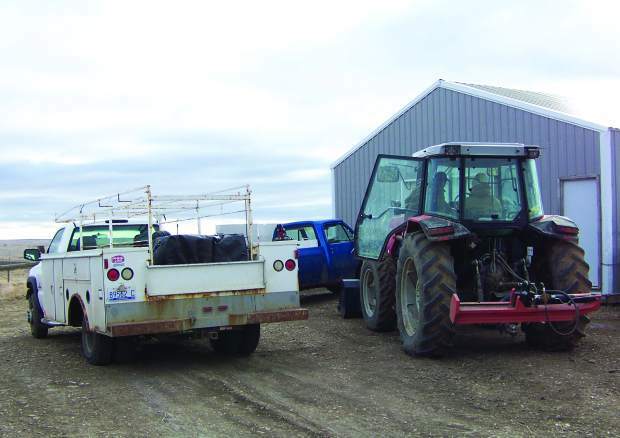 "In winter, I'd like to do scheduled and preventative maintenance inspections on haying and farming equipment. Prevention can save a major amount of down time," said Schaefer. "Wherever something's broke down, I can go there. 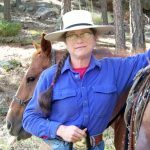 I've been to Wall, SD, Alzada and Ekalaka, MT, just anywhere something needs fixed, though for insurance reasons, I can't work on anything licensed like a pickup or car," said Schaefer. "I charge $1.50 per mile and my introductory rate is $35 an hour for now. I'm still trying to get a feel for what it's going to take to do this. I don't want to overcharge anyone, I just want to put food on the table and take care of my family." "I appreciate people's business and I'll do all I can to get them up and running again in a straight forward, honest fashion. I strive to do a proper diagnosis and then find parts as reasonably priced as possible," explained Schaefer, who is continually researching the best location and prices for parts. His wife and secretary, Tina proudly added, "He's a perfectionist. He'll keep at it until it's right." Schaefer responded to her statement by saying, "My Dad always told me that a job worth doing is a job worth doing well. He also said to treat people fairly and they'll treat you well in return." Many people would have quit after such a devastating injury and recovery, but the heart and try of Chad Schaefer and the support of his wife and daughter, makes this remarkable man someone who will keep on until the job is complete. Getting back to work and taking care of his family has been the incentive needed to start his own business. You just can't keep a good man down, as they say. To contact Schaefer's Rollin' Repair, you can call Chad's cell at home: 605-347-1162 or his home: 605-456-2920.